July is finally here, and I have decided to finally get around to a project that has been on my list for a while. While there are countless "makeover" and redecoration projects I want to tackle, I tend to get overwhelmed thinking about ALL of them and end up blowing them off rather than just focusing on one at a time. So my new plan is "Project of the Month." It just can't physically (or financially) all be done at once! So like I said...the first days of July seemed like the perfect time to kick off the new 'one thing at a time' approach. 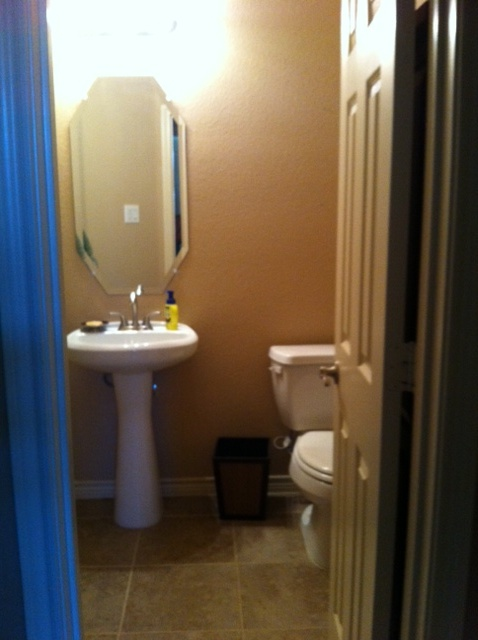 This month: half bath makeover. 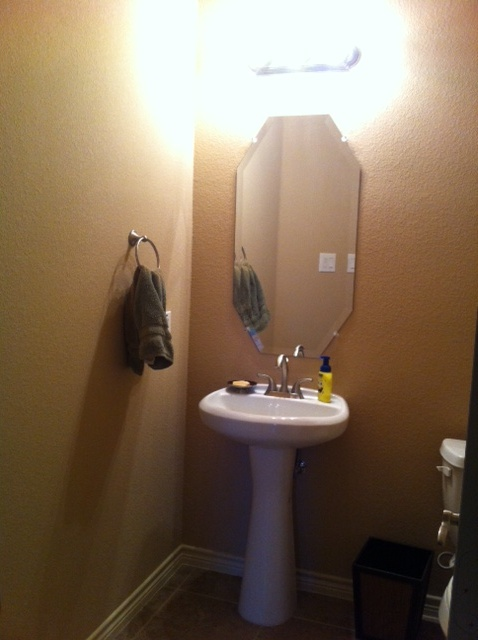 I really want to do the master bath, but it would be a much bigger project...so that will wait. Our downstairs half bath is so sad, and I have been wanting to give it a makeover really since we moved in. 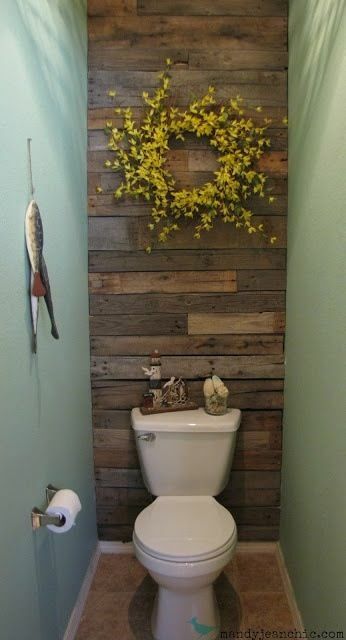 After all, it is the bathroom that any company we have over uses, and it is right off the front door of our house so it is one of the first things you see. I don't have a super clear direction yet, but it will come together as I go...I'm hoping, anyway. First things first, some before pictures. I cleared all of the non-essentials from the bathroom and walls which makes it look even sadder. I am using that as motivation to get the project underway ASAP! 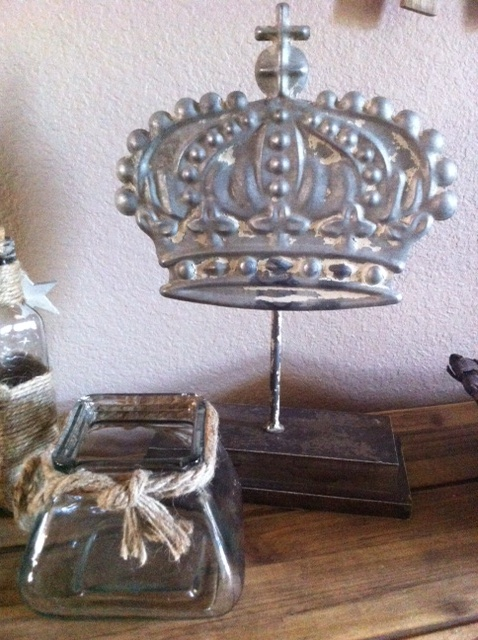 I picked up this crown at a local boutique/antique shop a while back, and it has just been hanging out in the living room getting no love at all. I love the way it looks with this glass jar/rope combo...very Restoration Hardware-ish, no? Plus a MUST for the half bath is this wooden accent wall which will go perfectly with these two accessories. So..that is about as far as I have gotten. Cleared out the bathroom and poached two accessories from the living room. But I'll get there! Stay tuned for progress updates! This entry was posted on Tuesday, July 2, 2013. You can follow any responses to this entry through the RSS 2.0. You can leave a response.